That quote perfectly sums up the sound of Los Angeles-based rock quartet The Slow Signal Fade. 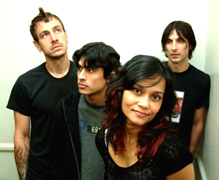 On the band's debut full-length, "Steady" (In Music We Trust Records), the band further explores these elements, seemingly integrating them and making them their own, creating a record that famed studio wizard Steve Albini (P.J. Harvey, Nirvana, The Pixies) is proud to have worked on. Now, how did Albini end up working with The Slow Signal Fade? Fans of Low's 'Things We Lost In The Fire', The Pixies' 'Surfer Rosa', PJ Harvey's 'Rid Of Me', and Nirvana's 'In Utero', all records Albini worked on, The Slow Signal Fade knew he was their man. Plus, he still uses tape rather than Pro Tools, something the band cherishes (their experience with computers in the past have left them less than impressed). With their mind set on Albini, they set out to make their dream a reality. The first step in achieving this, as the band will tell you, is putting vocalist Marguerite Olivelle on the phone. "We always do that with band stuff, because she's a girl and is nice and cute," the band laughs in unison. Once they were in communication with Albini through his Chicago-based studio, Electrical Audio, they followed up with some music, corresponded via email, and eventually found a week in his busy schedule that worked for both parties - and booked studio time. They then packed their bags, got in a van, with their instruments, and were Chicago bound. Crediting the trip to Chicago as one of the best musical, and life experiences they've each ever had, the band spent seven sleepless days at Electrical Audio, working with Albini to create a record they are beaming about, one they feel will help them reach a wider audience and turn some industry ears as well. 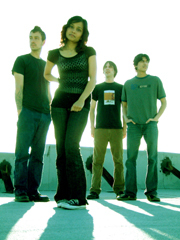 That record is "Steady", their debut full-length. "Steady" is a record about experience, about life, lyrically and musically canvassing the good, bad, serious, silly, happy, and sad situations you find yourself in while living life to the fullest. "The record is about staying 'steady' in life, and taking good times and bad ones and learning from them," explains the band. "It's why the bubble in the level isn¹t quite in the center [on the cover of the CD]. We are still trying and we may always be. "But, it also has to do with us as a band, and how we operate, trying to stay positive, working hard, not giving up. Slow and steady wins the race". Self releasing their two previous EPs, 2002's "Kindling" and 2004's "Through The Opaque Air" (both on Stroll Music), the band has done everything themselves up to this point, booking their own shows, putting out their own records, and touring relentlessly. If asked, the band will tell you that every single thing they have is the result of hard work and longevity, believing in themselves, and what they're doing ­ all with a sprinkle of luck and timing. The band may live in Los Angeles, but they don't know anyone in the business, nor do they have any nepotism to help them out. That is why they forced themselves to get out of Los Angeles, play shows, put out their own CDs, and do everything themselves. They quickly realized that they're a one-fan-at-a-time band, and if they were going to succeed, they had to slug it out and win over critics and music fans alike one at a time. Thus, the band motto: If you think someone owes you something or things should be handed to you, you should become an insurance salesman. And, the result is nothing short of commendable. Following the release of "Through The Opaque Air", the band did several tours, including a national tour (with a stop in New York for CMJ's New Music Festival), two West Coast tours, and treks through the Midwest and Southwest. It is this hard-working, practical mindset that helped land them at In Music We Trust Records, a Portland, Oregon-based independent record label that heard "Steady" and quickly agreed to put it out. When it comes to discussing the songs on "Steady", the band is very hesitant to give a definite definition behind the lyrics, preferring to have their listeners submerge themselves in the songs and come to their own conclusions. "Marguerite writes all the lyrics and mostly they are all about everyday life, day to day personal experiences, struggles, dreams, etc.," states the band. "As with most of The Slow Signal Fade stuff, we don't like to be specific, so whoever is listening can also make their own assumptions and connections. They may think something totally different than the song is really about, and that's okay with us, too." 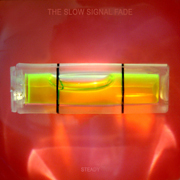 Now that you know about "Steady", the band's new record, you should know a little history of The Slow Signal Fade. The band consists of lead vocalist Marguerite Olivelle, who was born in Sri Lank and moved with her family to Canada, before settling in Los Angeles, where she has spent the majority of her life. Bassist Chris Walters, who was born in upstate NY (Rochester area), migrated to Los Angeles to attend U.S.C. where he studied music. Drummer Aaron Vishria, a Memphis, Tennessee native, also moved to Los Angeles to attend U.S.C. And then there is guitarist Ron Ulicny, who was born and raised in Philadelphia, before deciding to move to Los Angeles. Together, the band writes and develops the songs. Absent is a dictator and egos. The band's only concern is to not repeat themselves; they don't want to create songs that sound the same. They want their songs to be in their own style, and sound cohesive, but they don't want things to be cookie cutter. That is their number one goal when writing songs. The band is able to pull this off by allowing each member to contribute equally, preferring to write every song as a group, rather than having someone come in with the song and tell everyone what their parts are. This allows them to have songs that are slow, fast, heavy, soft, rock, or pop. The band feels this is one of the things that help them stay 'unique'; their diverse backgrounds as both musicians and people help them further explore this element of the band. Each member puts in their two cents from start to finish, everyone has equal say over everything, and all suggestions are welcomed and then discussed as a group. Leave your egos out of the practice space, and always do what is best for the song or the music, not what is best for just you; that's how The Slow Signal Fade lives, and writes songs. 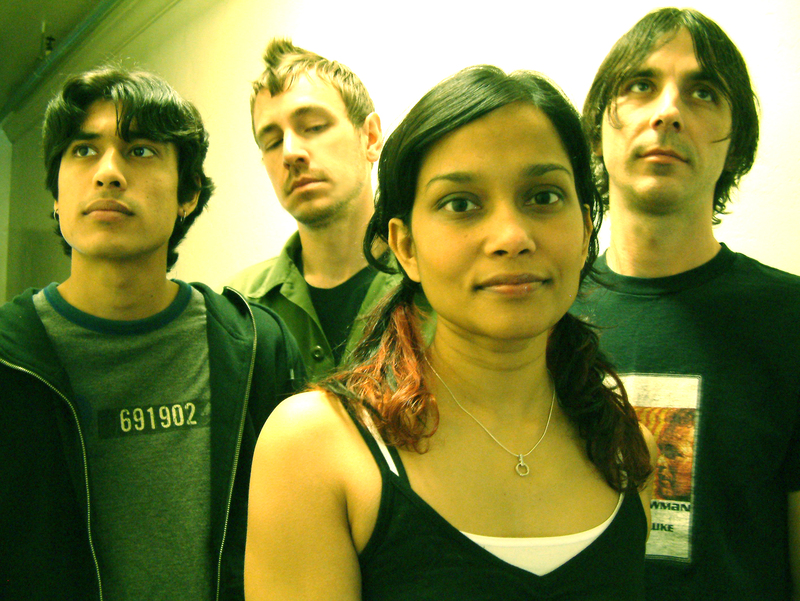 The members of The Slow Signal Fade have all given up a lot in their lives to create music together and make the band function. They all realize they could be living more comfortable lives behind a desk or with a 9 to 5 job, but this is what they love and want to do. And that is why they work so hard at it. The result is the band's debut full-length, "Steady", and best record to date. Look for The Slow Signal Fade to tour relentlessly throughout 2006 and into 2007, promoting "Steady" and winning over new fans at every stop.